Former Deputy FBI Director Andrew McCabe is requesting criminal immunity in exchange for testimony before the Senate Judiciary Committee next week. The Judiciary panel invited McCabe to a hearing about an upcoming report from the Justice Department's inspector general. It is expected to sharply criticize former FBI Director James Comey's handling of the 2016 investigation into Democrat Hillary Clinton's email server. The hearing is currently scheduled for June 11, if the report comes out before then. In a Monday letter to Senate Judiciary Chairman Chuck Grassley, McCabe attorney Michael Bromwich requested that McCabe be given immunity so his testimony could not be used against him in a criminal case. The request comes after the inspector general's office issued a criminal referral about McCabe to federal prosecutors in Washington. 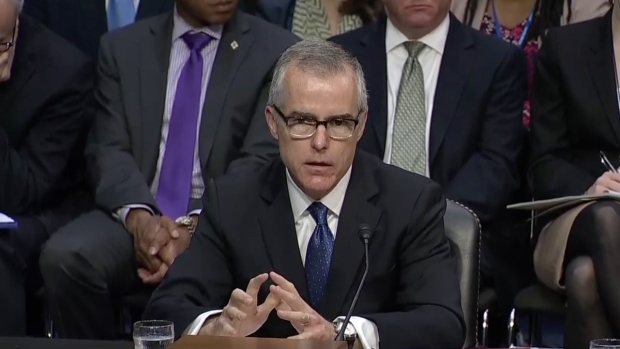 "McCabe is willing to testify, but because of the criminal referral, he must be afforded suitable legal protection," Bromwich wrote, adding that if he were unable to get such a deal, McCabe "will have no choice but to invoke his Fifth Amendment privilege against self-incrimination." 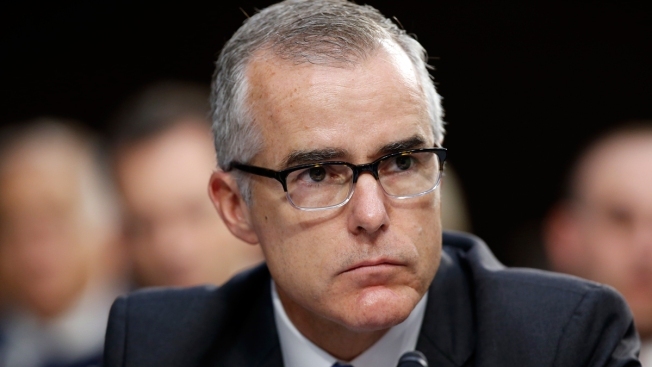 McCabe was fired from the FBI in March amid an internal report finding he had misled internal investigators about his role in a news media disclosure in October 2016. In response to Bromwich's letter, Grassley said he and the top Democrat on the panel, California Sen. Dianne Feinstein, would discuss seeking a court order to grant McCabe immunity. But Grassley cast doubt on whether it would ultimately be possible, noting that two-thirds of the committee would have to approve such an order and that the Justice Department would have an opportunity to delay the testimony. Grassley also said he would need to know more about the "anticipated scope, nature and extent" of McCabe's testimony. McCabe's lawyer said in a Tuesday letter that he was unable to respond to that request since it "casts such a wide and unspecific net" and would depend on questions from lawmakers. "But we welcome further discussions on this issue," Bromwich wrote. Grassley also wrote the Justice Department Tuesday to ask officials to release McCabe from a non-disclosure agreement that prevents him from sharing his email exchanges with Comey. The report released in April said McCabe had misled investigators and his own boss, then-Director Comey, about his role in an October 2016 Wall Street Journal article on an FBI investigation into the Clinton Foundation. 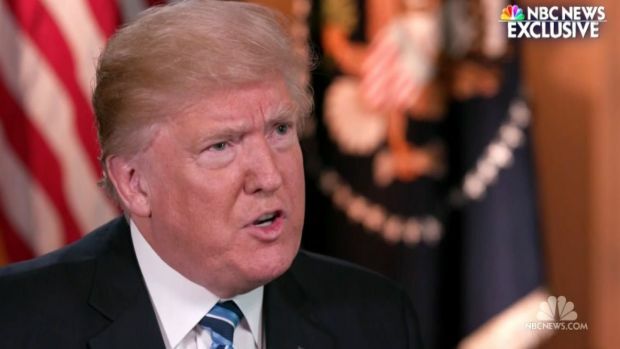 Acting FBI Director Andrew McCabe told members of the Senate Intelligence Committee that the White House has made "no effort to impede" FBI investigations into the Trump administration's ties with Russia following the dismissal of former FBI director James Comey. Lawmakers have expressed outrage at Comey's firing, calling President Donald Trump's actions "suspicious." McCabe has denied misleading anyone. He said that as FBI deputy director, he had the authority to share information with the media. In this case, he said, he permitted subordinates to do so to correct a false narrative that he had tried to stymie an FBI probe into the Clinton Foundation.